STRASBOURG President of Romania Klaus Iohannis will take part on Tuesday in Strasbourg in a debate organised by the European Parliament with respect to the future of the European Union. The head of state will present Romania’s views on the topic. It is for the first time that the President of Romania will address the European Parliament, and his participation in the event takes place in the context of a series of debates on the future of the European bloc, in which the leaders of the EU member states are invited to take part. In the plenary session that begins on Tuesday, the MEPs will also discuss the 2019 budget of the Union, ways to reduce the impact of certain plastic products on the environment, and the taxes to be charged for the use of certain infrastructure segments by heavy duty vehicles. SECURITY The European Commissioner for Security Union Julian King is on an official visit to Bucharest today. He will discuss with the Interior Minister Carmen Dan topics related to the security of EU citizens, including ways to identify efficient European legislation to fight online radicalisation. Julian King will also have meetings with the head of the Romanian Intelligence Service Eduard Hellvig, with the presidential adviser for national security and with Justice Ministry officials.  LAW The Parliament of Romania is re-examining the Offshore Bill, after the ruling coalition made up of the Social Democratic Party and the Alliance of Liberals and Democrats reached an agreement last week. In early August, President Klaus Johannis did not sign the bill into law and sent it back to Parliament for a review. What is at stake is, first and foremost, the profit that Romania will make from natural gas extraction in the Black Sea. The Energy Minister, Anton Anton, is expected to attend in the Chamber of Deputies today a debate on the Offshore Bill and the solutions for capitalising on the natural gas in the Black Sea. The Deputies in the specialised committees are to decide on the final text of the bill to be subject to the vote in a plenary sitting. PROTESTS Several hundreds of people Sunday night took part in a new anti-government protest. The participants voiced their discontent with a recent ruling of the High Court of Cassation and Justice, which bans unplanned protests, and with an emergency order issued by the Government concerning changes of regulations in the judiciary. In Cluj Napoca, in the north-west, around 100 people also gathered further to an appeal on social media, to protest the Government’s policies in the judiciary. TREATY The US national security adviser John Bolton has arrived in Moscow today, where he will be received by the Russian President Vladimir Putin. The latter will request clarifications regarding the USA’s plan to pull out of the Intermediate-Range Nuclear Forces treaty (INF). The US President Donald Trump announced a few days ago that Washington would withdraw from the INF. The US’ unilateral withdrawal from the treaty signed with Russia during the Cold War is a mistake, China warned on Monday. The spokesman for the Chinese Foreign Ministry Hua Chunyiong said Beijing is against this plan. The INF treaty was signed in 1987 by the US President Ronald Reagan and the Soviet leader Mikhail Gorbachev. The document bans the use of missiles with ranges between 500 and 5,000 km, ending the crisis started in the 1980s by the Soviet deployment of SS-20 nuclear missiles targeting all western capitals. Analysts say the withdrawal could have major implications with respect to the American defence policy in Asia, giving the Pentagon new conventional options to reinstate military balance in the region, where China has invested massively in conventional missiles. INVICTUS Romanian troops won the first medal in the 2018 Invictus Palarympics in Sydney, Australia, in the indoor rowing event. In the 4-minute endurance event Dumitru Paraschiva won the 3rd place, and his colleague Ciprian Iriciuc, the 4th place out of 21 competitors. At the Paralympic Games held in October 20-27, Romania is represented by 15 soldiers wounded in theatres of war. Romanian athletes, who take part in the competition for the second time, compete in the archery, cycling, Paralympic athletics, rowing, swimming, and volleyball events. HANDBALL The Romanian women’s handball team SCM Râmnicu Vâlcea Sunday qualified into the 3rd round of the EHF Cup, after being defeated by the Turkish side Kastamonu Belediyesi, 21-20, in the return leg of the 2nd round. Another Romanian team, Măgura Cisnădie, has also qualified into this stage of the EHF Cup, after winning the 2 legs of the 2nd round against the Czech team Slavia Prague (28-25 and 29-20). SCM Craiova also enters the competition in the 3rd round, after having lost the qualifiers into the Champions League and continues into the EHF Cup. Meanwhile, HC Zalău was defeated away from home by the German team Borussia Dortmund, 24-20, and failed to qualify into the 3rd round of the EHF Cup.